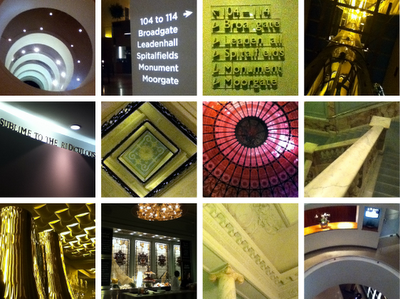 Up until this week I'd never been inside the Great Eastern Hotel at Liverpool Street. I'd always meant to wander in and have a snoop about, convinced as I was that inside would be like stepping into the past. Victorian and Edwardian railway hotels were always set up as showcases; just check out The Midland Grand Hotel in St Pancras and Gare D'Orsay in Paris, to name but two. These days, however the hotel is owned and managed by the Hyatt group and they have seen fit to change the name to Andaz. Why they couldn't have kept the the original name or come up with a compromise such as 'The Hyatt Great Eastern' is beyond me because as I am having trouble remembering the new name (see title above!). Apparently andaz is a Hindustani word which translates as 'personal style' but, having checked out the hotels rooms I'd say it just looks like Hyatt has been bulk-buying along TottCtRd, especially from Dwell and Elephant. Much is made of their unconventional lobby area which has no 'traditional' desk or receptionists. Instead guests are welcomed by one of a team of meet-and-greeters who, they say, can organise everything for you whilst they whisk you to your cheerless 1980's-style-pale-grey-with-red-accents room. These are bland bland bland rooms and every one of them has the same colour scheme. Oh that plain dark brown wood is going to date so fast. It's all so charmless, cheerless and lifeless. How about a few tasteful pictures on the walls to remind the guests of the hotel's history? 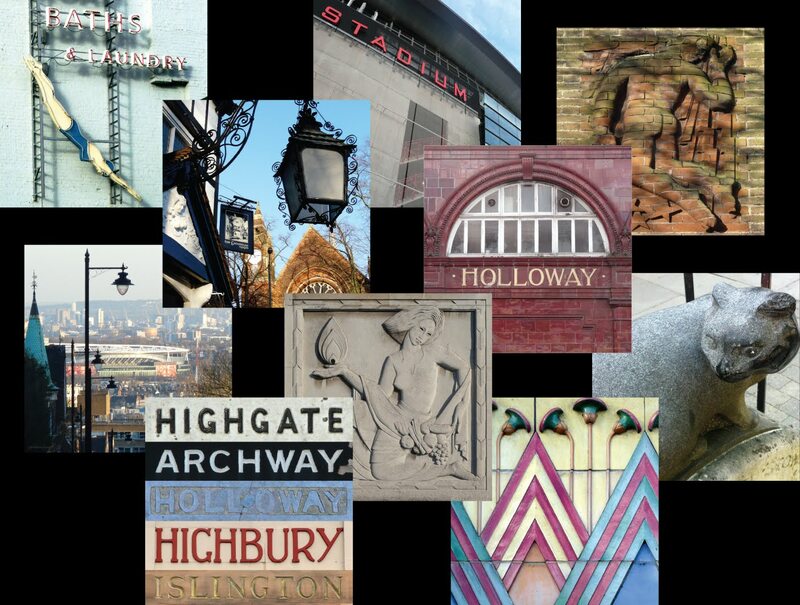 This would neatly tie in with the effort being made to link in to the area's East End cultural heritage – art exhibitions have been organised, and there are 'relevant' quotes on the walls in and around the circular atrium, but no-one seems to know who they are attributed to. The connecting corridors and utilitarian 'Metropolis'-style stairwells and atriums that link the old and new parts of the building, all made me feel like I was in a sanitorium rather than an exclusive hotel. The lift is encased with industrial mesh that barely conceals electric wires and chalk marks. Looking down from the 2nd floor into the internal courtyard made me feel like a prisoner who isn't allowed to go down to the exercise yard. But I did like gobo signage. At least letters can't fall off light projections, which is what had happened to the 3D signage. Shame. But then I'm all about interesting details, and there weren't many to see. On the plus side, the room prices seem reasonable. Much is made of inclusive iPod docks, wifi and organic non-alcoholic minibars (eh?!)... but you only get one silly-shaped chair in a King-sized room! Moving across to the older part of the hotel (still with bland rooms, but nicer doors)... and – wow! Like a smack in the face, and completely at odds with the new renovations, there's the old original marble staircase with moulded ceilings and grainy marble walls and... get this... just past that, a 'hidden' windowless Masonic temple/room that's wonderfully OTT. The bars and restaurants on the ground floor are really lovely and still have their fabulous high ceilings and original features. The Champagne Bar mixes the old with the new perfectly and has some small architectural features picked out in modern vibrant green paint. If only the main part of the hotel had followed suit. We had champagne and sushi (I hate the taste of wasabi so could only safely eat one of the pretty little things) and then, in Catch restaurant, we had fish cakes in consommé (lovely) and a cod dish (disappontingly tasteless and soggy), followed by a selection of scrummy cheeses, chutneys and delicious wines in 1901. So to conclude... lovely restaurants and bars, friendly and helpful staff, hidden history, horrible hotel rooms. My pics aren't really up to scratch this time... sorry; I was using an iTouch. Tom's are better. More hotel info and better pics are available here... go check out those posed model shots! I have just made an amendment to the penultimate para to include 'rooms' at the end. To clarify, it’s as if there are two different things going on at this hotel. I wonder if that’s why the restaurants were practically empty... Perhaps clients thought that their room was dull so there couldn’t possibly be anything interesting downstairs... So they went out into the big City for the night. Fun wasn't it? 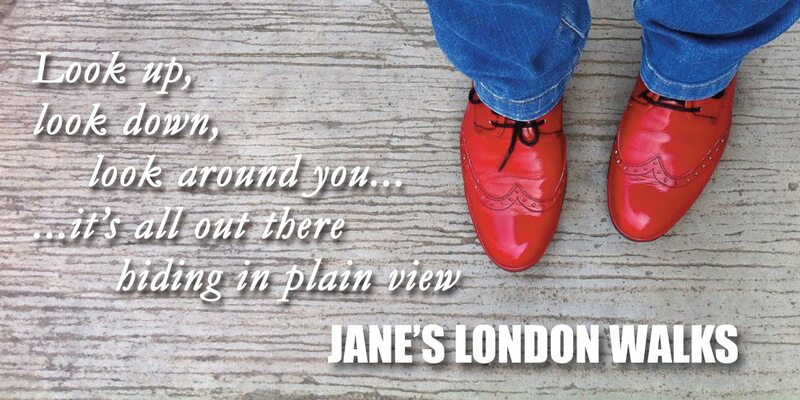 I don't know about you Jane, but i only cover venues that are within my personal price range so I checked beforehand! I too noticed your disappointment in the first hour... but that Masonic Temple made up for it eh?